Bitcoin price tumbled and broke the USD 6,250 and USD 6,000 support levels. 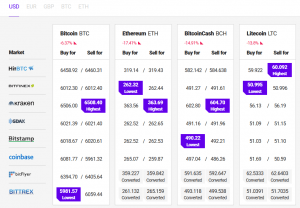 Ethereum, ripple, BCH and other major altcoins nosedived more than 15%. Many small cap altcoins registered more than 25% losses. Bitcoin was smashed during the past two sessions as its price declined below key supports like USD 6,250 and USD 6,000. BTC/USD traded below USD 5,900 and moved into a bearish zone. More importantly, many major altcoins declined heavily and weakened more than 15%, including ethereum, ripple, bitcoin cash, EOS, litecoin and neo. The total market capitalization (excluding bitcoin) dropped by more than USD 10 billion during the past three sessions. Largely, the current market sentiment is very bearish and it could get a lot uglier if sellers remain in the driver’s seat. Additionally, it seems like altcoins may perhaps continue to move since most of them breached important support levels. For example, ethereum cleared the USD 300 support, bitcoin cash settled below USD 550, ripple price broke the USD 0.30 support, and EOS crashed below USD 5.00. On the positive side, the technical indicators have reached extreme oversold conditions, which could result in an upward correction. Having said that, any correction might be seen as a selling opportunity considering the current market sentiment. Bitcoin price failed to settle above the USD 6,500 resistance, resulting in a fresh downside move. BTC/USD declined by more than USD 500 and traded below USD 5,900. Later, the price found support and is currently (UTC 08:30 AM) recovering to USD 6,000 - USD 6,100. On the upside, the USD 6,200 and USD 6,250 are important resistances. Only a close above these hurdles may possibly decrease the current bearish pressure and encourage buyers to push the price towards USD 6,500. On the downside, supports are seen at USD 5,900, USD 5,850 and USD 5,720. Ethereum was one of the worst performing major altcoins as it tumbled by more than 17% and traded below the USD 300 and USD 270 support levels. ETH/USD tested the USD 250 support and is currently trading near the USD 265 level. Resistances on the upside are near the USD 280 and USD 300 levels. On the flip side, a break below USD 250 could take ETH towards the USD 225 level. Bitcoin cash price broke the USD 550, USD 520 and USD 500 support levels. BCH/USD is currently down more than 15% and is trading near USD 490. On the downside, the next supports are at USD 480 and USD 460. Resistances are at USD 520 and USD 550. Ripple price declined sharply below the USD 0.300 and USD 0.280 support levels. 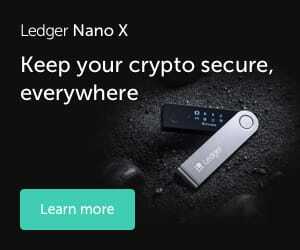 XRP/USD spiked below the USD 0.250 level and is currently down 14.5% to USD 0.261. More losses are likely if the price fails to move past the USD 0.280 and USD 0.300 resistances. Many small cap altcoins dropped significantly and registered losses between 20-30%, including ark, nebulas, ZIL, augur, IOST, ICON, 0x, stratis, BTCP, WAX, nano, HSR, IOTA, rchain and golem. To sum up, the crypto market is in deep red and sellers remain in control. If bitcoin price slides further below USD 5,800, it could get a lot uglier and altcoins will most likely continue to nosedive.